The remains of a child, estimated to have been about three years old, and two older people have been found during archaeological excavations in Bulgaria’s second city Plovdiv, and archaeologists believe that they may have been killed during a Goth assault almost 1800 years ago. The discovery was made at a site near a road tunnel close to the current headquarters of the Plovdiv metropolitanate of the Bulgarian Orthodox Church. The child had been shot with an arrow. The cause of the death of the two older people was not immediately clear because the remains had been heavily damaged by fire. The burnt skeletons were found in unnatural poses. Still on the wrist of one was a beautiful bracelet. With the remains were found, close to one, a few coins, and close to the other, a statuette, believed to depict Aphrodite. The head of the archaeological dig, Elena Bozhinova, told local media that she and her team were of the opinion that the triple killing and the torching of the family home happened during the Gothic assault on Philippopolis, as Plovdiv was then known, in the year 251. In that assault, the city was almost completely destroyed by fire. Bozhinova said that burnt buildings from this period were often found, but it was rare to come across human remains. She described the site as exceptional. After the discovery of the main street and fragments of a giant arch, the foundations also were found. These showed that the portal building had been very large, she said. The foundations were at a level even below that of the ancient main street that had led to the city’s East Gate. Bozhinova said that it was hoped to accurately date all the structures once the coins and ceramics found at the site had been processed. 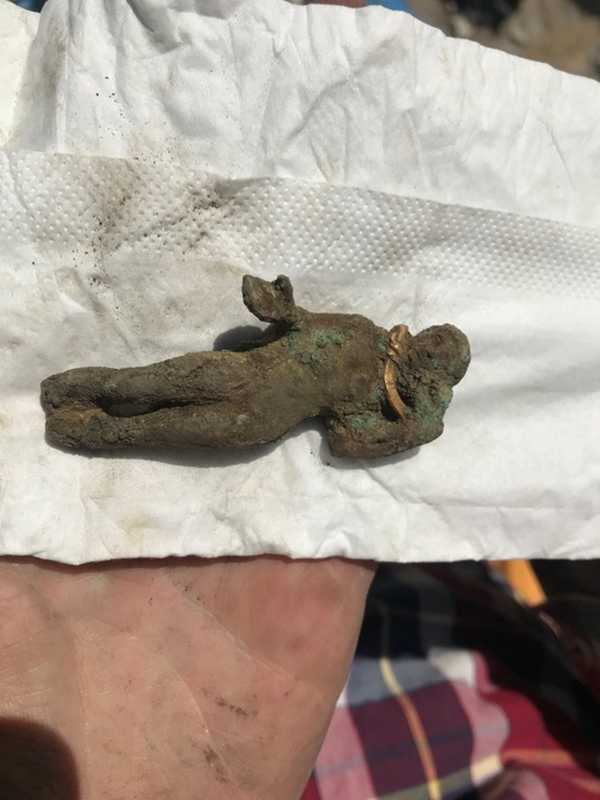 The archaeological team had found 280 coins, not counting the store of coins found near one of the skeletons, she said. Work at the site is continuing.